Nicholas D Wrathall's Gore Vidal biodoc is a fascinating movie for anyone who's a fan of Gore Vidal! I'm not sure it'll have a wider appeal except maybe to social historians of twentieth century America. 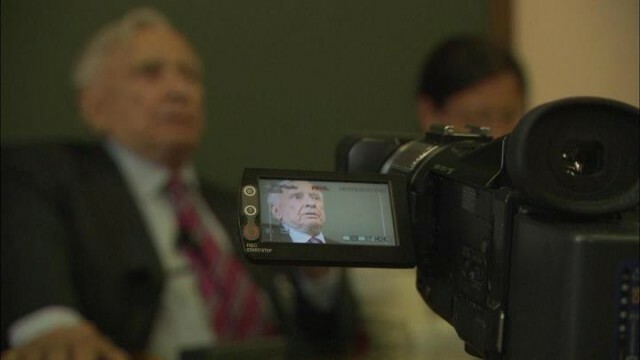 For Gore Vidal was at the very heart of things - a novelist, essayist, public intellectual and social gadfly. A man who was born into immense wealth and privilege in 1925 - a stepbrother to Jackie Kennedy - who turned his back on his class to become one of the leading defenders of the liberal left on TV, in print, and on the podium. The documentary benefits from great access to Vidal in his final years, still witty, still biting - and we see him guide us through his life, loves, politics and triumphs. If you love Gore, there's a lot of him here! This leads to a problem: there's no criticism. We get hints of his disagreement with The Hitch, when The Hitch joined the neocons. But in general, those who oppose Vidal are seen as numskulls (many of them were) - but is it really helpful to have Vidal skewering William Buckley in that infamous TV debate, but no real right wing voices to give context and perspective to Vidal's career? I love Gore Vidal. I enjoyed reading his essays in the New York Review of Books. And I miss his voice. But this movie was more like 90 minutes of nostalgia rather than telling me anything knew. And if you can't tell the fans something knew, what are you here for? GORE VIDAL: THE UNITED STATES OF AMERICA has a running time of 83 minutes. The movie played Tribeca and London 2013.